How do you answer when the patient or family asks, “What is next?” More importantly, though, you need to recognize if they are asking that question, or is there something else they are really asking. This simple framework for communicating can be adapted to fit each situation, regardless of it being a nurse-to-patient or a nurse-to-nurse setting. Overwhelmed by her poor prognosis, a patient with a newly diagnosed advanced cancer cuts off communicating with her health care team. Medical terminology can be a foreign language — or confusing, at the least — for many patients. Ann Brady uses a patient encounter to illustrate the potential miscommunication inherent in using “medicalese” in patient communication. 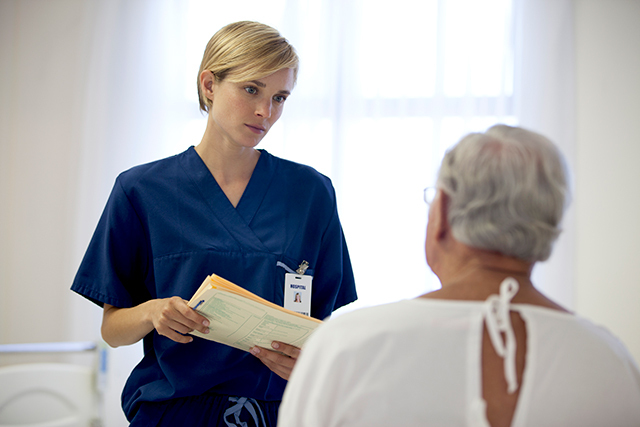 Although many physical expressions are universal, oncology nurses may be challenged to catch notice of more subtle body language from patients or a family member. WWW is not for the world-wide web, but it is an easy way to remember the 3 w’s of communication with patients with advanced disease: wish, worry, wonder. When patients and families are holding on to what you don’t say, they may use combativeness and being argumentative to keep you — and your words — from bringing them to accept the unacceptable. Grief over a loved one’s impending death may manifest as other emotions or difficult-to-manage behavior. This month’s column describes how families may express their grief as anxiety about their loved one’s care, an attempt to take control of the situation, or anger toward the clinicians involved in their loved one’s care.